ARTSTARS* auction in London next weekend! Polo Jeans Co. announces the launch of Art Stars – an exhibition of 42 works from a group of Europe’s emerging contemporary artists to be auctioned in London at Phillips de Pury Howick Place on Saturday, December 4 through Monday, December 6. Proceeds from the auction will benefit Teenage Cancer Trust — a charity dedicated to helping young people fight cancer. Throughout the three days, visitors will be able to place silent bids on the Art Stars and the event will conclude with a party on Monday evening in which Simon de Pury will personally auction a selection of the Art Stars live. 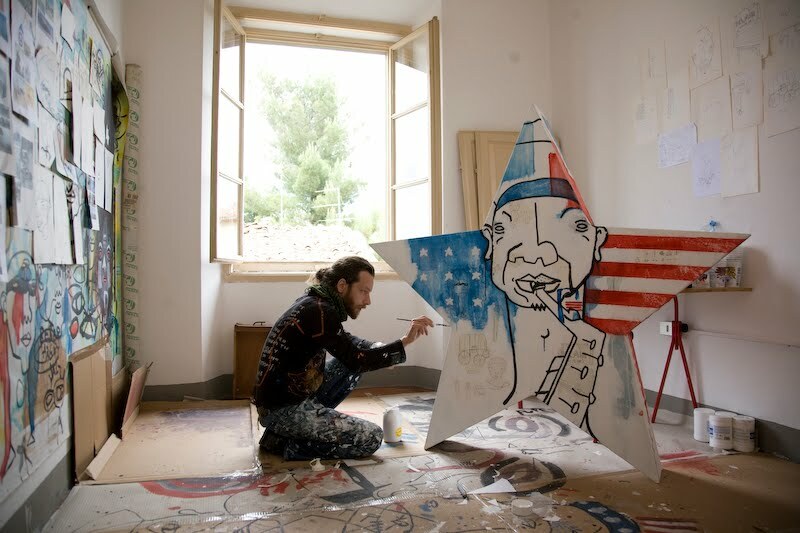 “The Art Stars project is an important partnership for the Polo Jeans brand. We are excited to be working with these talented artists and honoured that Art Stars will be supporting this worthwhile cause,” said David Lauren, Senior Vice President of Advertising, Marketing, and Corporate Communications at Polo Ralph Lauren. 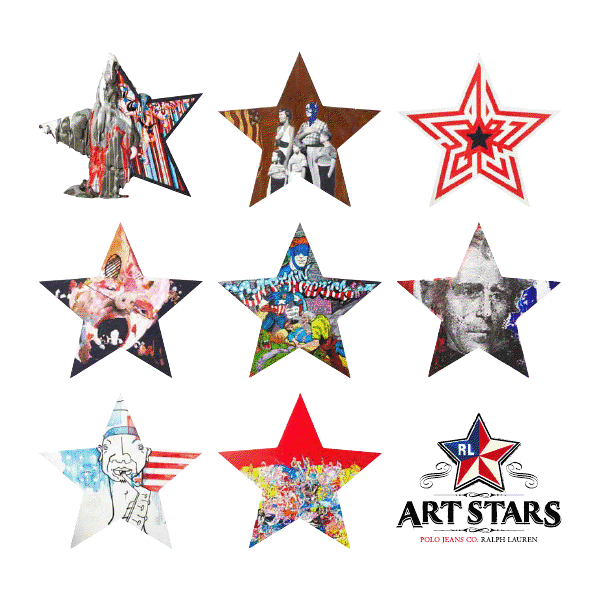 The Art Starts project is inspired by the iconic American Star Spangled Banner and is synonymous with the philosophy of the of the Polo Jeans Co. brand. 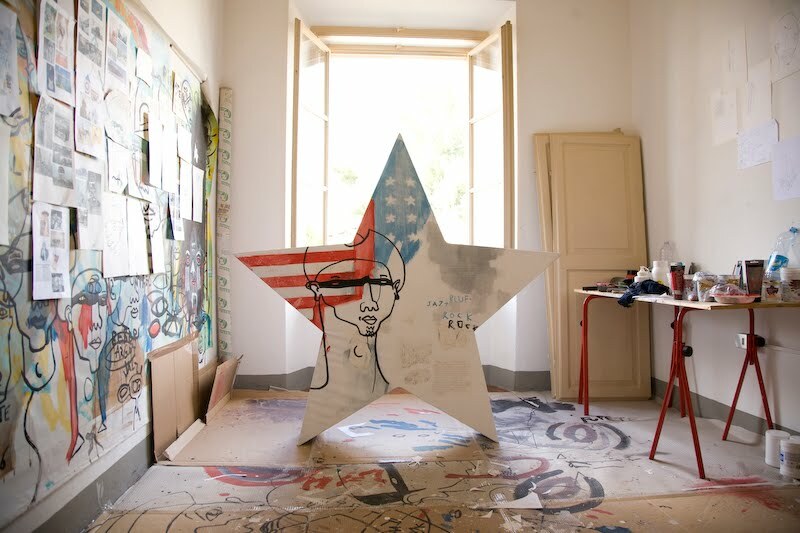 The brand commissioned up-and-coming European and Middle Eastern contemporary artists to customise a canvas by creating three-dimensional stars made from the finest American denim. The artists can choose an assortment of materials unique to their specialty and materials ranged from denim and replicas of the American flag to dyes, bleach and embroidery. “At Teenage Cancer Trust, we know how important fashion and art are to the daily lives of the patients we work with. This partnership is a fantastic opportunity for us because, as well as allowing some of our young people to get involved in designing their own stars, it also raises vital funds for us to continue to provide the best specialised care for teenagers and young adults with cancer across the UK,” said Simon Davies, Chief Executive of Teenage Cancer Trust.